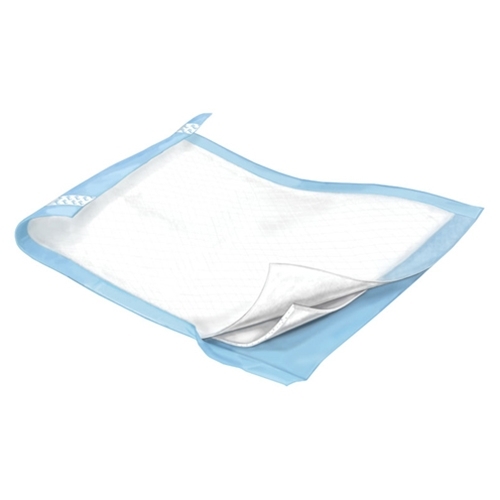 Wings Specialty Plus Underpads with Adhesive Strips from HealthyKin.com provide greater bed coverage, a larger absorbent area, and protection equal to three to four regular fluff underpads. They are designed with adhesive strips to keep the pad in position. A super-absorbent polymer provides extra dryness and odor control. Good product. Adhesive strips hold pad in place. Stay in place. Pads are really thin. Large enough for good protection at night. Only problem was adhesive strip which stuck to the sheets and I had trouble getting it off. Otherwise it’s a good product. I was very happy with pads they cover a lot of area stays in place. I was buying some from a friend they ran out so I came across this site glad I did the same pads but a lot thicker for a great price will keep on ordering and the best thing about it the order came faster than we expected they came the next day that was fast service.